It sounds like a flying weed whacker. You look up and see what looks like something from a Star Wars movie. Blinking lights and all. Looking around you see the operator with the command module. Looking into it further, it turns out that it is a professional roof consultant using a UAV or drone to complete a roofing assessment! 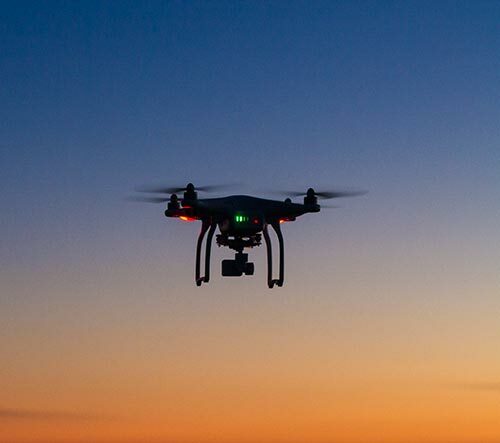 Unless you have been living under a rock, chances are good that you have heard about the drone craze. 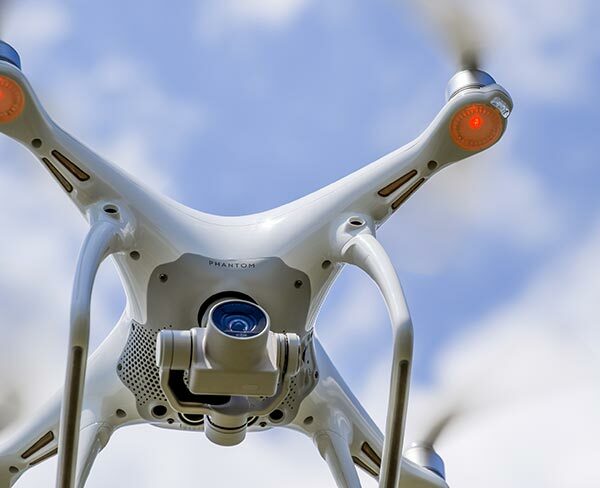 A drone or a UAV is an unmanned aerial vehicle. Professional building consultants and contractors are finding many uses for this new technology. 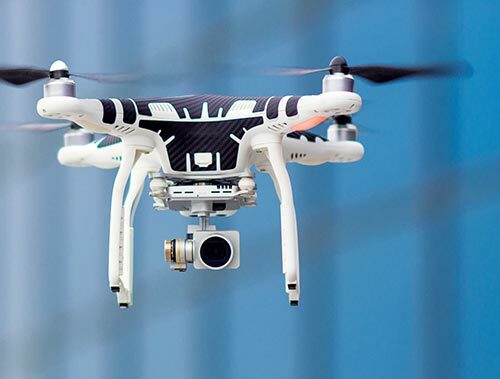 A drone is an unmanned aerial vehicle that is piloted remotely for take-off, flight and landing. Most have heard of drones being used for military purposes. However, drones are finding many other uses. Many creative pilots are finding uses in different industries including the construction industry. Drones much like planes are capable of carrying other objects besides just themselves. 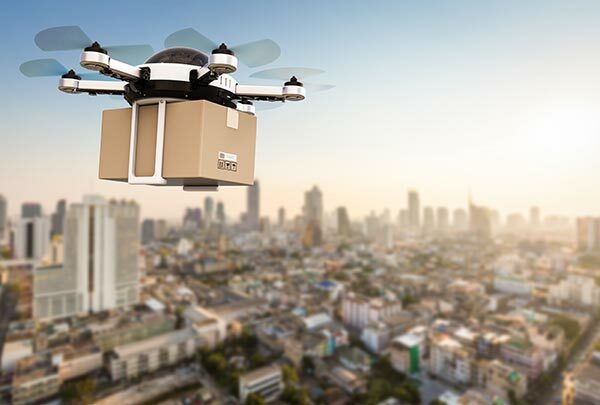 Most likely you have heard about Amazon’s future plans to use UAVs to deliver products to their customers. Professional roof and building consultants are using UAVs or drones to provide different services and benefits to customers. 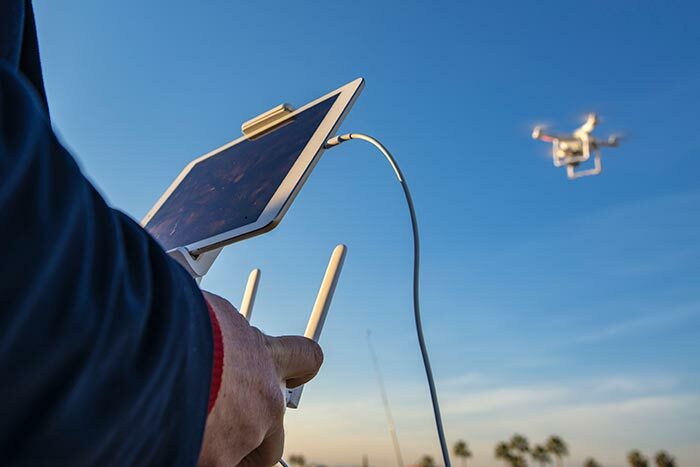 As drones are continued to be developed and deployed, the opportunities for new services continues to grow as well. An example of a difficult to access area would be assessing mid-rise facade waterproofing. Roof Asset Management Inc. has consulted on many buildings were the facade has been in question. Typically it is harder to gain access to these vertical surfaces without setting up scaffolding or renting an aerial work platform. Using a drone allows quick access to these areas without setting up scaffolding. This results in a faster assessment with a reduced cost. For many reasons building owners and managers like to have aerial images of their buildings. They may use these images for documenting the condition of the existing building for insurance coverage. The images may be used for planning and development of the property. Aerial images allow building owners and managers to be able to gain a better oversight of their property. 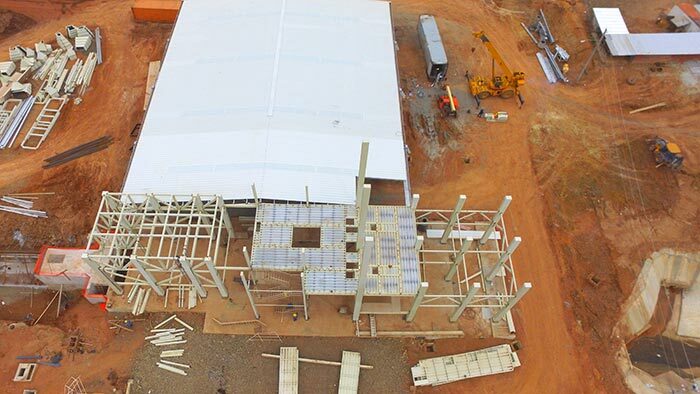 In addition, the aerial image company is not capable of interpreting the images to help determine the current drainage patterns for the building or other features of the roof system. 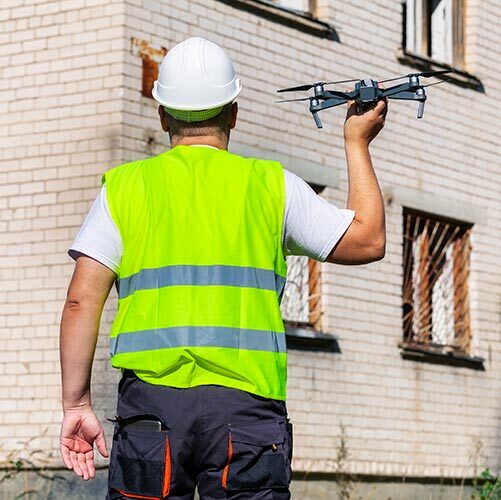 Using a professional roof consultant who deploys drone technology can be a quicker and more cost effective solution for building owners and property managers. Many building owners and property managers have used infrared scanning services to help assess the condition of their roofing systems. 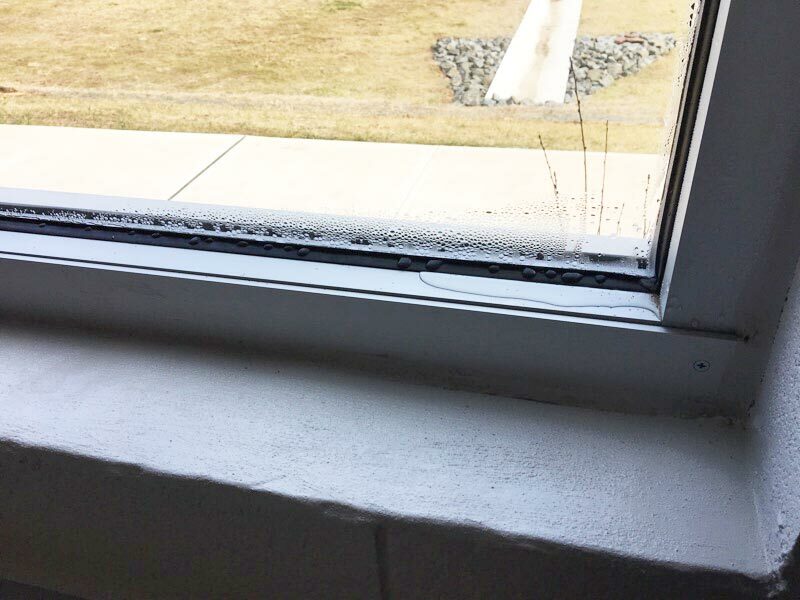 Infrared technology is used to locate trapped moisture within roof assemblies. Infrared cameras are able to assess infrared energy being emitted from roof systems and capture images of the energy patterns. The images can then be interpreted to help determine potential areas of trapped moisture. There have been two traditional methods of capturing infrared images. The primary method has been to deploy boots-on-the-roof technicians with handheld infrared cameras to perform assessments. The other option has been to contract with an aerial infrared thermography company. These companies operate manned planes with an external mounted infrared camera to do flyovers to capture these images. The use of a manned plane is costly and time consuming. As with any other technology, drones are not the answer in all situations. There is no substitute for a professional roof consultant being able to step on your roof system and complete an hands-on assessment of your building. Drones are like any other tool that a professional roof consultant uses. They are an extension of the individual. UAVs enhance the ability of the consultant to do their job and provide quality services to their clients. If you are interested in drone services for your building click on the button below to learn more. Yes I’m interested in finding out more about drone building services!